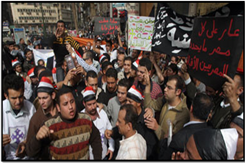 The killing of six Egyptian Christians on January 6, 2010, what coincided with the 'Coptic Christmas Eve' sent shock waves through Egyptian society. While all condemned the murder, a flood of theories emerged to explain why it occurred. Nag Hamadi [Naj Hammādī], located 300 miles south of Cairo, is an Upper Egyptian city located in an area known for tribal values. This is a setting difficult for Cairo-based analysts to comprehend. ZIVIC Project efforts have sought to collect as many of these analyses as possible, in addition to adding staff reflections. 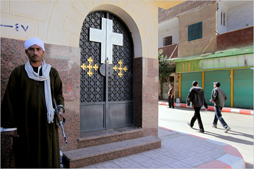 The project also considered avenues to encourage social reconciliation and peace in the area.